The IES is committed to bringing sales thought leaders to sales leaders. Over 2,500 selling professionals have attended IES programs around the world. Our home base is Northern Virginia, right outside of DC. 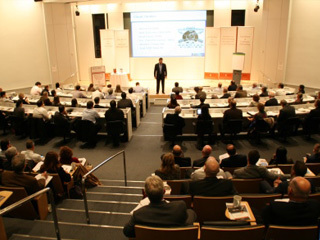 Attendees include sales leaders, high-performing sales professionals, and business owners from world-class companies such as Oracle, Cvent, Learning Tree, NetApp, EMC, Discovery, Salesforce.com, New York Life, ADP, NetApp, IBM, Avaya, Capital One, Microsoft, and Cisco as well as hundreds of other product, financial services, and media companies. Members also include service professionals who need to generate revenue, such as accountants, consultants, recruiters, and architects. More information on past speakers can be found on the IES Speaker Bureau page. Below is the all-star list of past IES speakers. David Hoffeld: The Science of Selling: Science-Backed Strategies That Will Help You Sell More. Dario Priolo and Tim Sullivan: The Effects of Digital Transformation on Sales Management, Strategy and Execution. Andy Miller: Sales GRIT™ – The #1 predictor of Success in Salespeople!